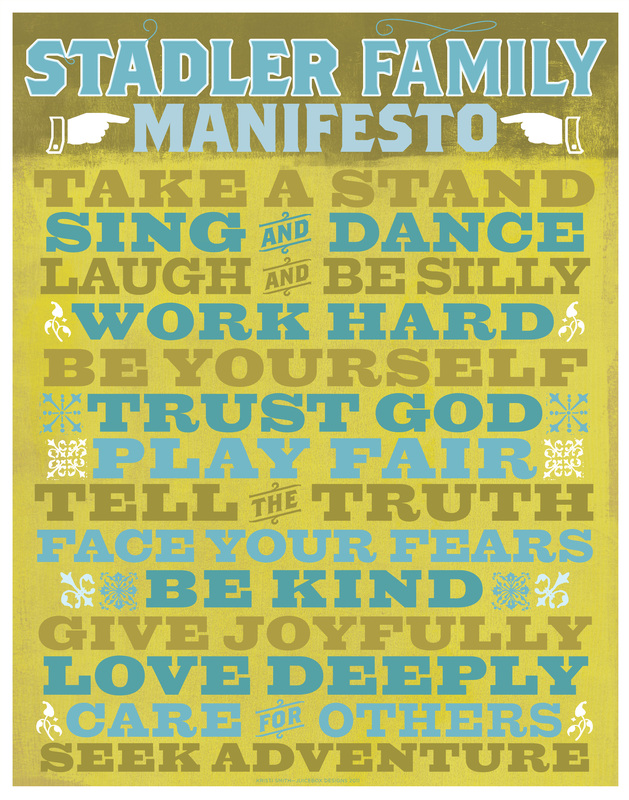 Last year, I wrote about my desire to create a Family Manifesto. You can read the original post here. It kind of got put on the back burner for a while, then it took a few months for Jon and I to finalize our list. Mostly, because I have a hard time getting Jon to take things like this seriously. He always wants to suggest things like “fart rainbows” first. Why is it that the things you love most about a person also drive you bat crap crazy? We pulled it together though… and thanks to my long-time, incredibly sweet, and disgustingly talented friend, our Manifesto now hangs on the wall in our home – a constant reminder of the things we strive to live out.